Drains are like the workhorse of your property – they work away quietly in the background carrying all the waste we produce on a daily basis. It’s only when they’re broken or need replacing that we realise how important they are. Having a new drain system installed can be a major investment, and using experienced professionals will give you peace of mind that you’re getting the very best value for money. Superior Plumbing has supplied new drains in residential, commercial and industrial properties for over a decade. We’re highly experienced in all types of drainage systems, from residential waste and stormwater to commercial and industrial trade waste. We specialise in investigating blocked, broken and damaged drains, and use the latest in CCTV camera technology to determine the extent of the problem. More often than not, badly damaged drains will need to be replaced completely, however fortunately a new drain system can often work out to be cheaper than repairing an existing one. Our new drain installations are designed to be as hassle free as possible, and we try and minimise the impact of our work on your home or business as much as possible. If any excavation is required, we’ll make sure we make as little mess as we can, and we’ll dispose of any rubbish produced off site. Before starting work, we’ll assess your needs and give you a quote for the estimated cost of the job. We’re also happy to talk to you about any issues you might be having with your drains, as well as give you advice on the best new drainage systems for your home or business. Damaged or collapsed drains: having a drain that’s been damaged in some way is the most common reason to have it replaced with a new one. There are many ways a drain can become damaged, including human interference or through invasive tree roots, storm damage and the shifting of land. Over time, drains can also become weaker through general wear and tear, with joints loosening and cracks appearing. This can lead to leaks which further damages the drain and causing it to collapse entirely. 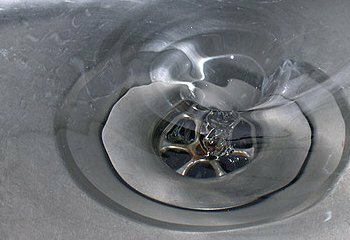 Faulty drains: occasionally drains simply stop being as useful as they once were, either because they were designed poorly, or are old and cannot keep up with the volume of waste now being emptied into them. This can occur particularly with older storm water drains where the nature of the landscape has changed (for example, there may be more debris from trees that have matured over time) and the drain is struggling to cope with the storm water run-off. Renovations: depending on the size and complexity of the renovation, it may be necessary to install completely new waste and storm water drainage systems. The design of grease traps or arrestors has not changed much since they were invented in the 19th century. They are designed to provide an area for the oil and grease from food preparation activities to go into, preventing it from being washed into the main waste water system. The grease will separate from the water and float to the top of the tank over time. It will then be cleaned out or pumped on a regular basis by waste experts who can dispose of it safely. Grease traps can vary in size depending on business requirements, and they can come in a range of materials from concrete to PVC and plastic. They can be installed above or below ground, and the complexity and scope of the project will determine the final cost of the job, with the average price between $10,000 to $20,000. Older grease traps can become rusted or cracked over time, especially if they have not been maintained regularly, and often need to be replaced with a new system. Superior Plumbing are experts in the installation of grease traps for new and existing commercial and industrial properties, as well as any associated work such as the replacement or relocation of pipes. 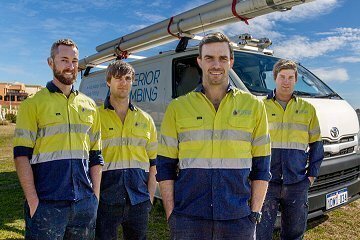 Superior Plumbing provides new drain installations for commercial and industrial properties, including restaurants and cafes, schools, hotels, care homes and automotive businesses. We install all types of drains including grease traps, arrestors and oil and water separators. Generally trade waste contains oil, fat, grease and other material. If disposed of directly into the waste water drainage system, these substances can block drains, overload water treatment facilities and affect the environment. Many industries must adhere to guidelines about what they can and cannot do with their trade waste. 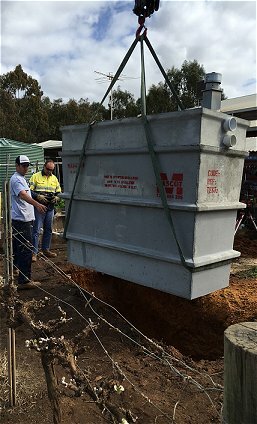 For example, the Water Services Act 2012 regulates waste disposal in Perth, and under the Act businesses in the food industry must have a current waste permit as well as have a grease trap or arrestor installed by a licensed plumber. Oil and water separators are commonly used in businesses and industries related to cars such as automotive repair workshops, car washes and fuel stations. Like grease traps, they’re designed to prevent substances from entering the general waste water system that might be dangerous or cause maintenance issues for treatment plants. Instead of grease, however, oil and water separators prevent hydrocarbons used in the industry such as diesel and hydraulic fluids from getting into the main waste water system. 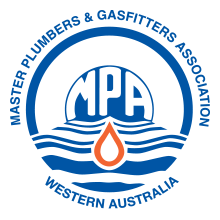 All oil and water separators installed in businesses must adhere to the strict standards as stated by the Water Corporation of WA, and they must be installed by a licensed plumber. Ready to Work With Superior Plumbing? 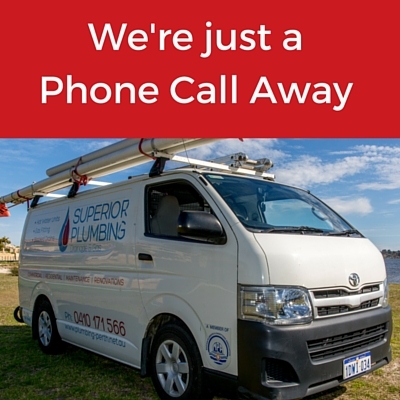 With thousands of satisfied customers across Perth, and years of experience in installing new drains in residential, commercial and industrial properties, Superior Plumbing is the number one choice for high quality, professional plumbing. We’re happy to discuss any aspects of new drain installations with you, whether you’re replacing an old unit or need a totally new system for your home or business. We offer a 100% money back guarantee on all of our work, so you can rest easy knowing the professionals are on the job. Contact us today and find out more about our new drain installation service.